An Act for recognizing King William and Queene Mary and for avoiding all Questions touching the Acts made in the Parliament assembled at Westminster the thirteenth day of February one thousand six hundred and eighty eight. The Crown and Parliament Recognition Act 1689 (2 Will & Mary c 1) was an Act of the Parliament of England, passed in 1689. 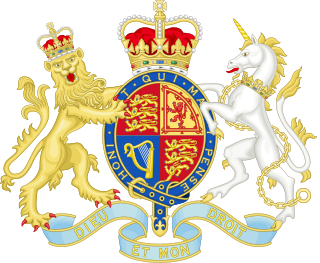 It was designed to confirm the succession to the throne of King William III and Queen Mary II of England and to confirm the validity of the laws passed by the Convention Parliament which had been irregularly convened following the Glorious Revolution and the end of James II's reign. This Act is still wholly in force in Great Britain (as of 2019). However, doubts arose as to the validity of the Bill of Rights and the other Acts passed by the Convention Parliament. Since the Parliament had not been summoned in the regular way, it was arguable that it was no parliament at all and its legislation was of no legal effect (although this occurrence was not unprecedented in English history). Therefore after the Convention Parliament was dissolved and the next parliament was summoned by the King and Queen in the normal manner, the Crown and Parliament Recognition Act was passed to confirm the validity of the royal succession and the previous parliament's legislative competence. The difficulty with the Act is that if the Convention Parliament had no authority, then the succession of William and Mary was of no legal effect, which meant that they were not capable of giving Royal Assent to any bill in the next parliament, with the result that even the Crown and Parliament Recognition Act was of no effect either. This very point was argued before the Hereford County Court in 1944 by a litigant who represented himself in a probate case called Hall v. Hall. He argued that the Court of Probate Act 1857 (which undermined his case) was of no legal effect whatsoever, since it had never received Royal Assent. It had received Royal Assent from Queen Victoria, but according to his argument Victoria had never legally inherited the throne, because the Bill of Rights and the Act of Settlement 1701 (which also altered the line of succession to the throne) were of no effect, since both had been assented to by William III, who was not the real king. Therefore Victoria had never been the real queen and so the Probate Act (like every other Act passed since 1689) was not the law. Predictably, the judge ruled against him, and the point has never been argued in court since. Although the judge did not give detailed reasons for his decision, a counterpoint to the above argument has been advanced by academics: "One possible answer, deducible from rationalizations of later medieval practice when usurpations of the throne were not uncommon, is that ... [a]s a matter of State necessity ... a de facto King had been regarded as competent to summon a lawful Parliament." Wee your Majestyes most humble and loyall subjects the lords spirituall and temporall and commons in this present Parlyament assembled doe beseech your most excellent Majestyes that it may be published and declared in this High Court of Parlyament and enacted by authoritie of the same that we doe recognize and acknowledge your Majestyes were are and of right ought to be [by] the laws of this realme our soveraigne liege lord and lady King and Queene of England France and Ireland and the dominions thereunto belonging in and to whose princely persons the royall state crowne and dignity of the said realms with all honours stiles regalities prerogatives powers jurisdictions and authorities to the same belonging and appertaining are most fully rightfully and intirely invested and incorporated united and annexed. And for the avoiding of all disputes and questions concerning the being and authority of the late Parliament assembled at Westminster the thirteenth day of February one thousand six hundred eighty eight wee doe most humbly beseech your Majestyes that it may be enacted and bee it enacted by the King and Queenes most excellent Majestyes by and with the advice and consent of the lords spirituall and temporall and commons in this present Parlyament assembled and by authoritie of the same that all and singular the Acts made and enacted in the said Parlyament were and are laws and statutes of this kingdome and as such ought to be reputed taken and obeyed by all the people of this kingdome. In the Kingdom of Ireland another Act, entitled An Act of Recognition, of their Majesties [sic] undoubted Right to the Crown of Ireland was passed in 1692 by the Parliament of Ireland, which made similar provision. In the Republic of Ireland this was repealed by section 1 of, and the Schedule to, the Statute Law Revision (Pre-Union Irish Statutes) Act 1962. ^ 1689 in the New Style dates; 1688 Old Style. ^ Constitutional and Administrative Law, de Smith, Stanley; and Brazier, Rodney; London: Penguin Books, 8th ed. (1998), ISBN 0-14-025816-7, page 71, footnote 11. ^ This date is given in the Old Style calendar. His Majesty's Declaration of Abdication Act 1936 was the Act of the Parliament of the United Kingdom that recognised and ratified the abdication of King Edward VIII and passed succession to his brother King George VI. The act also excluded any possible future descendants of Edward from the line of succession. Edward VIII abdicated in order to marry his lover, Wallis Simpson, after facing opposition from the governments of the United Kingdom and the Dominions. 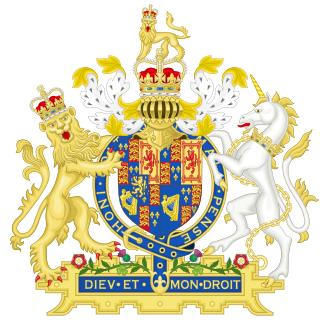 The Succession to the Throne Act is the act of the Canadian parliament that ratified the Cabinet's consent to His Majesty's Declaration of Abdication Act 1936, an act of the United Kingdom parliament that allowed Edward VIII to abdicate and pass the throne to George VI. 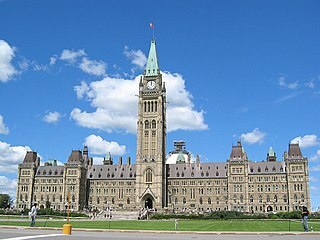 However, it was the Canadian government's request and consent, and not the Succession to the Throne Act, that gave the British Act of Parliament effect in and made it part of the law of Canada, as per section 4 of the Statute of Westminster 1931, which allowed the British parliament to legislate for the Dominions only with their agreement. The Parliament Act 1660 was an Act of the Convention Parliament of England of 1660. The Act declared the Long Parliament to be dissolved, and the Lords and Commons then sitting to be the two Houses of Parliament, notwithstanding that they had not been convened by the King. 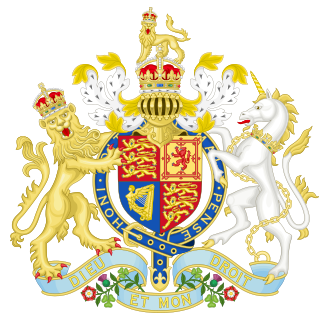 The Toleration Act 1689, also referred to as the Act of Toleration, was an Act of the Parliament of England, which received the royal assent on 24 May 1689. His Majesty King Edward the Eighth's Abdication Act, 1937 was an act of the Parliament of South Africa that ratified the abdication of King Edward VIII and the succession to the throne of King George VI. Although the South African cabinet had assented to the passage of His Majesty's Declaration of Abdication Act 1936 by the Parliament of the United Kingdom at the time of the abdication in December 1936, the South African act was passed in February 1937 to resolve legal uncertainties.